Happy Monday! I am launching my fifth annual Newbery series today. I asked Meg Medina, Veera Hiranandani, and Catherine Gilbert Murdock to answer two questions and finish two sentence starters. Hello, Newbery Medalist Meg Medina!!! 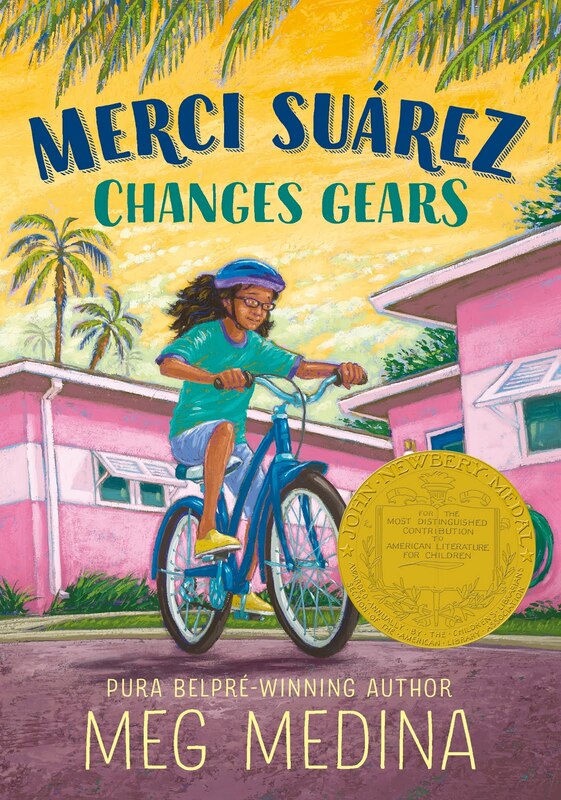 Congratulations on winning the 2019 Newbery Medal for Merci Suárez Changes Gears. I love hearing about THE CALL. What ran through your head when the phone rang? 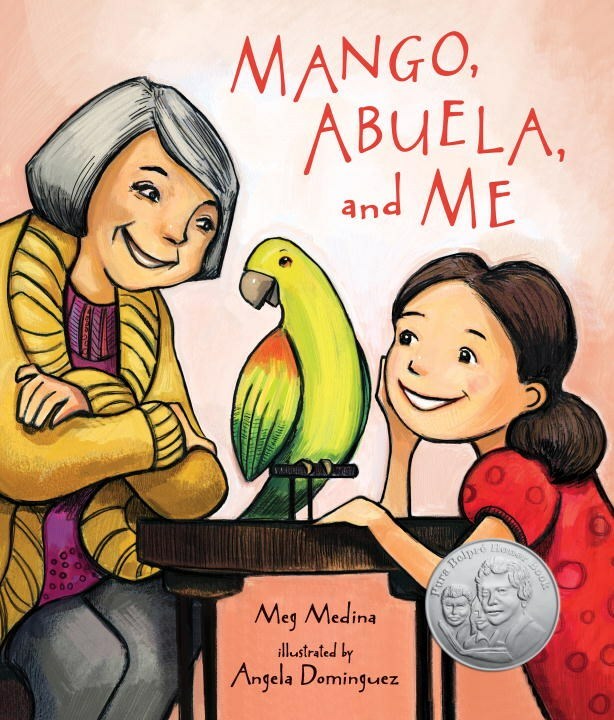 What were you thinking about when the Newbery committee was clapping and cheering for you? Meg Medina: Everything flew out of my head, Mr. Schu. It was fairly late in the morning, so I thought all the medal recipients had already been called with the news. So, I decided to start my day as usual before watching the webcast. I read the paper, went to exercise, and was finally showered and dressed, ready to sit down to write for a bit before tuning in. Then I saw that the phone said the caller was from Washington. I know they were talking to me. I know they said Newbery. I know I blurted out, “Who is this again?” And then my knees buckled, and the adrenaline rush through my body. I sat on my bathroom floor and had a good long cry. I think every feeling I’ve ever had – every hard writing day, every hope, every fear, every blessing I’ve had as an author – all of that came rushing in at once. I was completely overwhelmed. Meg Medina: It means lasting into the future at this time where I feel as though I am bearing witness. It means that what I had to say about children and growing up in this particular time and place is going to last. It also means that I have a very special opportunity to help kids connect with books and stories. And, of course, it means that I can quiet some of those self-doubts that sometimes plague me when I come to the page. Story is the way human beings learn to understand, respect, and love each other. Borrow Merci Suárez Changes Gears from your school or public library. Whenever possible, please support independent bookshops.